The Cave du Marmandais follows a whole heritage of its masters’ traditions and works hard to create authentic wines from Côtes du Marmandais AOC, that embody warmth and tell a story about the Sud-Ouest’s style. Our wines will give you hedonistic sensations and while sharing a nice glass with your friends, you will feel like taking a journey in our beautiful region. Beneath a beautiful purple robe, our reds reveal an aromatic bouquet of red fruit and dark berry aromas. Sometimes fruity, supple and indulgent, sometimes more rugged, long-lasting and distinctive, certain Côtes du Marmandais are designed to be enjoyed young while others will need to wait 5 to 10 years in the cellar. Our rosés are richly coloured and highly aromatic. The texture is fleshy and well-rounded, helping us to achieve that delicate balance between youthful freshness and the rich aromas of red fruits, pomegranate and candy produced by the appellation’s flagship grape varieties. Our dry whites are lively, well-balanced, fresh and fruity, with prominent notes of peach and white flowers, often topped with the exotic fruit aromas so typical of the Sauvignon Blanc grape. The Abouriou is a red grape variety native to the region of Lot-et-Garonne which appeared on our hillside in the XIXth century. In danger of disappearing in the XXth century, it has been preserved thanks to the perseverance of our wine producers who created in 2004 a conservatory to study and protect it. This grape variety gives to our wines their deep colour, their aromas of black fruit and sublimates its substance by giving them smoothness and silkiness. The Abouriou is a surprising grape varietal with many qualities. Complementarity It is a sizeable asset for our wines. Two banks, two terroir which have drawn their fertility from the depths of the river Garonne for decades. A river which has shaped our landscapes and has given to our terroir all their resources. On one side, the right bank, composed by clayey and limestone molasses where the Merlot and the Abouriou are especially blooming. On the other side, the left bank, with its sandy and gravely soils where numerous sea sediments were found. Grâce à la complémentarité de son terroir, le vignoble des Côtes du Marmandais possède un encépagement très diversifié. The vineyards of the appellation has a great diversity of grape varieties. Their are composed of traditional grape varieties such as Merlot (40% of the surfaces), Cabernet Sauvignon and Cabernet franc but also with typical grape varieties such as Malbec and Abouriou. White grape varietals are also grown in the vineyards, mainly Semillon and Sauvignon Blanc. Since time immemorial, winemakers have been cultivating, nurturing and representing the terroir which we call home : the Côtes du Marmandais. From the vine to the glass, the skill and personality of our winegrowers are assets that make the difference at every step of the winemaking process. They work hand in hand to create unique, distinctive wines which live up to your expectations. In a spirit of collaboration and solidarity, they strive constantly to achieve nothing short of excellence, giving you the opportunity to discover and savour the qualities of the terroir they are proud to represent. 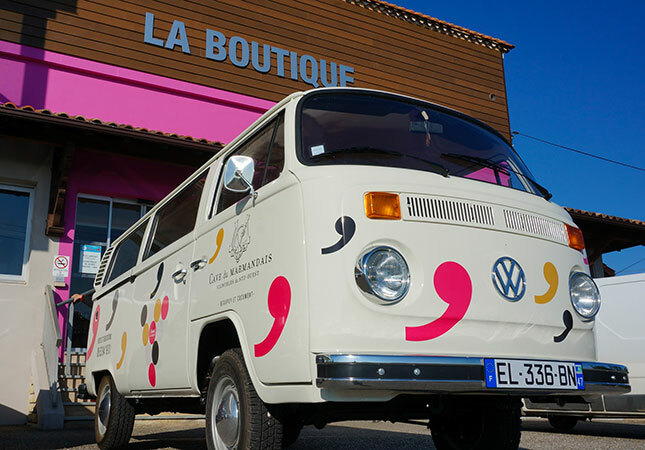 Come to meet our winegrowers and to visit us in our wine shops based in Cocumont and Beaupuy. We also offer tours of our cellar throughout the year. The Château La Bastide was built during the Hundred Year’s War in 1472 and used as a refuge for the residents of neighboring villages. The Château is located on the highest point in the village of Cocumont, it was destroyed by a fire in 1721. Rebuilt, it was used as seigneurial residence until the Revolution. The Lafitte family became owner in 1943 with only 5 hectares of land. In 1962 , it is the second Lafitte generation who took over the property with 12 hectares including 6 of vines. In 1965, the Lafitte family joined the wine cooperative with the aim to bring the totality of its production and never left it. In 1973, began an important expansion of the property with the plantation of new grapes varieties : the merlot and the cabernet. The third Lafitte generation settled down in 1988 and extend again the familial property with the purchase of 10 hectares more in 1990. Today, the Lafitte vineyards cover 57 hectares located a few miles away from the city of Marmande, the vineyards bord the hillside of the famous river: Garonne. The majority of the production is for the red wine elaboration ( 51 hectares) but the Château also produces a white wine with sauvignon blanc and sauvignon gris (6 hectares). The Château is located, on one hand, on gravelly and boulbènes soil, rich for the culture of merlot and cabernet franc, and, on the other hand, on clay and gravel soil favorable to the culture of sauvignon blanc and gris. The Château La Bastide and the Lafitte family are historically involved beside the Cave du Marmandais in order to support discovering the know-how and the qualitative terroir of Côtes du Marmandais. 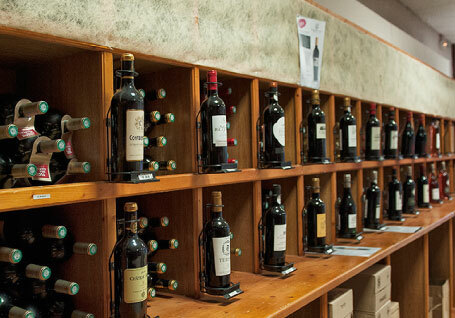 This historical property of Cave du Marmandais is owned by the Jean family, wine growers from father to son since 1963. Its surface has strongly increased over the years, in 1980 it was around 35 hectares against only 16 in 1974. 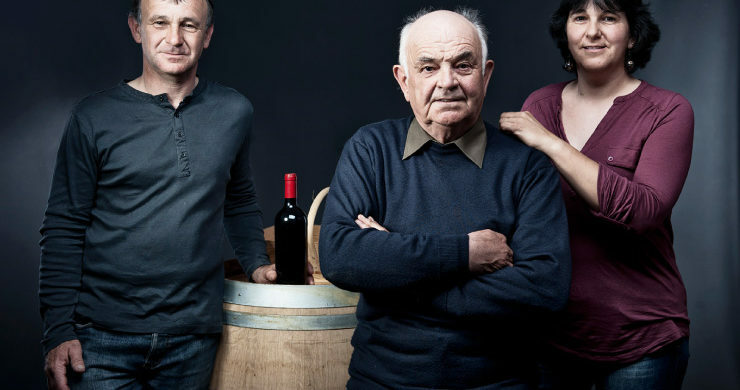 Henri Jean settled down with his father in 80’s and gave birth together to the Château Sarraziere, Sarraziere being the place’s name where the property is located. The familial passion for wine has driven Henri’s brother, Patrick, to settle down in 1984 bringing 40 hectares more to the property. In 2000’s, the property reached 76 hectares which were divided between the two brothers : the château Sarraziere for Henri and the Château Terrebert for Patrick. The Château Sarraziere has a vineyard of Merlot and Cabernet Franc, vines are planted in boulbène and red grave soils. The Château Sarraziere has good days ahead of him, in 2002, the third generation of Jean settled down. Pascal, Henri’s son, will continue to promote the familial know how. This familial property has been passed from mother to son and from son to daughter for 5 generations. The great great grand mother of Sebastien Laffargue, the current wine grower, bought this estate in 1920 to her husband family, who disappeared at the front in 1914. The property, covers today 35 hectares of vineyards in AOC Côtes du Marmandais. In the middle of the property you can find a beautiful building with a colonial style from the middle of the XVIIIth century. This building is characterized by four square columns dressed in stone, supporting the upstair gallery. We can also find in this estate a cellar that suggests us that the vines culture was already present during the house construction.The plots on which is produced the Château Monplaisir were already planted in vines in the 1920’s. These plots constitute an enclave of six hectares, located in front of the main building. This enclave is naturally protected from the North, East and South winds thanks to the oak forests and to a south-east slop on the West side. The microclimate is really important in this area because it protects this patch of green from spring frosts. The terroir of Château Monplaisir is rich in iron oxide which gives this ochre color to the soil, also well known as red grave. The presence of pebble in the surface allows to retain the heat brought by the sunlight, that is why these soils are warm. All these factors brought the first generations to plant this enclave in Cabernet Franc at 15% and in Cabernet Sauvignon at 85%, perfectly adapted for this type of soil. It endows respectively elegance and character to the wine. These grape varieties so qualitative but also really difficult to cultivate, build up the Chateau Monplaisir identity. A strong identity reinforced today by the new generation who keep replanting these two grape varieties, always in the same proportions. The Château Bazin is considered as the jewel of Cave du Marmandais. The property is composed of approximately 9 hectares of vineyards which are dominated by a beautiful chartreuse with a neoclassical style and an English park with remarkable trees. The Marmandaise tradition wanted that each property had to be called after the owner’s name, in that way the property became: Château Bazin. It is located on the right bank of the Garonne river, a few miles away from the city of Marmande on the highest point of the village Magdelaine at an altitude of 131 meters.The Château has always been occupied by humans as demonstrated by the numerous carved flints from the paleolithic age. It is a privileged site for the vine culture in the Marmandais thanks to several factors which are the terroir, the climate, the grape varieties and the know-how. The terroir of Bazin is located at the place where the Entre Deux Mers comes to die against the Agenais hills. It is coated with rich clay of flint pebble. The sunny climate, the well distributed rainfalls and the little amount of frost and hail make the viticulture obvious .The soil and climate of Bazin are favorable to the culture of Merlot, Malbec and Cabernet Franc. 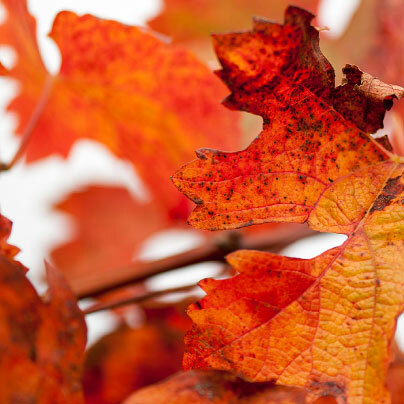 The soil quality and this particular climate have been combined with the know-how of our vintner. The Château Bazin has been successful thanks to its quality from the table of English Kings to nowadays wine lovers. The Bazin family was a singular middle class family whose history has always been closely linked to the city of Marmande with a deep anchorage in politics and justice. The Château Bazin is not the property of the Bazin family anymore, but belongs to a lover of the Marmandais region who has entrusted the development of his vineyards to a wine growers family : the Simmonet. The Château Bazin and its plots selection, Excellence de Bazin, are today in organic farming and receive a special attention during fermentation. A fleshy wine with character which can compete easily with its well known neighbors of Bordeaux , creating the surprise. The story of Château Côte de France starts with the parents of Jean Jacques Simonnet, Thérèse and Charles. In 1959, the Simonnet family, native of the Gironde department (in the area of Bordeaux), set up in Lot et Garonne as farmers. They start with a mixed farm of about 25 ha with mainly cattle breeding, cereals and tomatoes of Marmande, and only 4 ha of vineyards among which some plots of our traditional grape variety: the abouriou, planted in the fifties and still existing today. It is in the end of the 1960 that they obtain the VDQS ( Vin De Qualité Supérieure – High quality wine) the ancestor of the AOC (Appellation d’Origine Contrôlée – Appellation of controlled origin). Strengthen by this qualitative recognition they decide to plant new grape varieties: merlot and syrah. 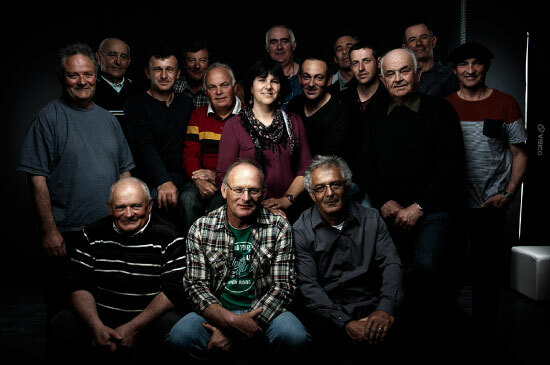 It is only 10 years later that they acquire their own farm at Beyssac, which at that time represents 12 ha with 3 ha of vines in AOC for the installation of their son Jean-Jacques. Then Jean-Jacques and Francoise Simonnet, the second generation, buy an estate of 8 ha at Escassefort and set up there. This estate will become the Château Côte de France. Year after year, the Simonnet family purchases several plots on various terroirs of the appellation. Now they work together with their son Thierry and their daughter Coralie, who is not only co-owner of the Château Côte de France, but also wine merchant in Brittany to share her passion for wine. The property represents about 50 ha, mainly planted with vines and the protection of this exceptional heritage is the main motivation of the 3rd generation of Simonnet. Indeed the Château Côte de France has been certified Organic Farming since 2012. The conversion towards organic farming is a real asset for the Château Côte de France, concerning the cultivation of vines, but also the commercialisation of the products. This change of cultivation is a choice of the children who want to privilege the relationship with nature and consumer. The history of Château Rousseau Pallard begins at the end of the XVIIIth century. The estate was the first house built in 1780 in the small hamlet of Rousseau Pallard. This hamlet is located close to the Gallo-Roman village of Sainte Bazeille, near the city of Marmande in Lot-et-Garonne, on the left bank of the Garonne river. At that time, and until the end of the A cette époque, et jusqu’à la fin de la seconde guerre mondiale, la polyculture connaît un essor important avec les cultures légumières et le tabac dans les vallées. La vigne est alors limitée à l’autoconsommation. Le bâtiment appartient à la famille des actuels exploitants depuis la fin du XIX ème siècle. La propriété viticole est créée en 1968 par Paul Simonnet qui abandonne l’élevage et se tourne vers la viticulture. Il plante ainsi 12 ha sur le plâteau de Sainte Bazeille, côteau exposé au sud, sur des sols de boulbènes et des argilo-calcaires. A partir de 1976, un an après l’obtention du label VDQS (vin délimité de qualité supérieure) les quatre fils de Paul Simonnet rejoignent les uns après les autres la propriété paternelle pour finalement créer une structure commune en 1987, structure à laquelle leurs épouses respectives prennent également part. Forte de cette association familiale, la propriété s’agrandit pour atteindre aujourd’hui 50 ha de vignes et 170 ha de grandes cultures (tournesol, blé…). Les principaux cépages cultivés, en agriculture raisonnée, sont l’Abouriou, le Malbec et le Cabernet Sauvignon, le Merlot. Le Château Rousseau Pallard est une sélection des meilleures parcelles de Merlot et d’Abouriou, le cépage autochtone des Côtes du Marmandais. This family property is located on South east slope from the right bank of the river Garonne and belongs today to the third generation of Soubiran. The viticulture there is ancestral. Indeed, the first traces of vines go back to 1868 and the cellars were already present in 1889. The vineyard has strongly increased over the years. In 1932, there were only 5 hectares with very different and very old grape varieties such as the grapput or the alicante. The vineyard aging lead to its restructuring in the 80’s. 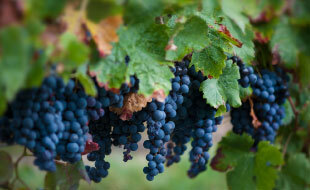 It was then decided to plant new grape varieties such as Merlot, Cabernet, Abouriou and Malbec. The property is now composed by approximately 12 hectares, all in one piece. The wine quality of this property comes from the subtle combination of its two principal grape varieties , the Merlot and the Malbec, with a clay limestone and boulbene soil. As for the vineyard, the wine business has fluctuated among the years. At the beginning, in the 1930’s, the property’s wine was sold entirely to the negoce of Marmande which was supplying the « black wine » for the vineyards of Bordeaux. When this practice has been stopped and that the slump of wine could be felt, the totality of the production was distilled. With the market recovery and the creation of the wine cooperative of Beaupuy in 1952, the Soubiran family decided to sell it its production. 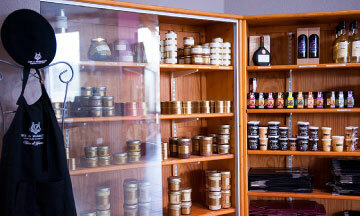 Consequently, since 1968, the totality of the property production has been brought to the Cave du Marmandais. 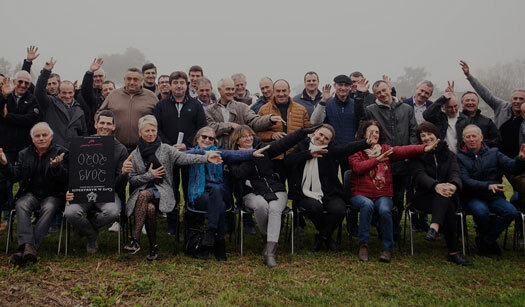 The Soubiran family, cooperators from father to son, share their passion with their visitors each friday afternoon and joined the program Destination Vignoble and Fermes de Garonne ( Vineyard Destination and Farms of Garonne).